Fieldwork’s lineup is in flux. Pianist Vijay Iyer remains, but on Simulated Progress, the trio’s sophomore effort, alto/sopranino saxophonist Steve Lehman replaces tenorist Aaron Stewart. And since this September 2004 recording, Tyshawn Sorey has succeeded Elliot Humberto Kavee on drums. But personnel changes have not diminished Fieldwork’s power and coherence. 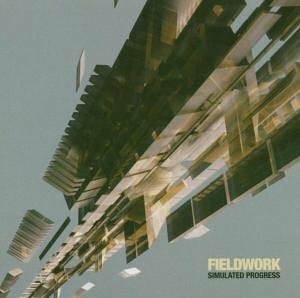 Fieldwork’s rhythmic logic can be immensely involved, but the results are disarmingly concise (just under 49 minutes total, with only three tracks exceeding five minutes). The music is also rich in paradox: dark yet uplifting, intellectually demanding yet effortlessly funky. The Bad Plus: Suspicious Activity?